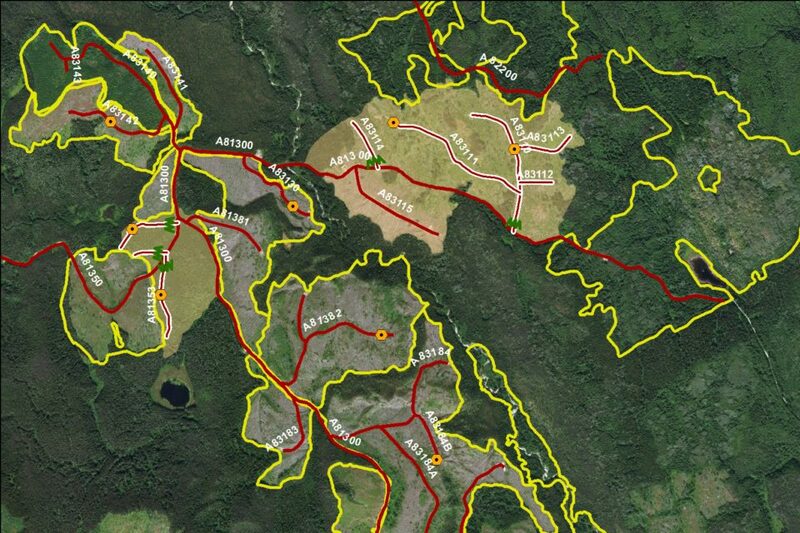 The GIS department at Wildlife Infometrics specializes in spatial database preparation, spatial data management, GIS project management, data modeling, and innovative cartographic production. We use industry standard software (ArcGIS, Netica, SELES, Microsoft) for data input layer acquisition, validation, creation, and analysis. Our capabilities range from geoprocessing analyses tailored to specific client needs, through to custom geoprocessing scripts and sophisticated habitat supply models integrating several software packages.